Don’t get weighed down by indecision; this chrome-plated brass stretcher with a split ring design is perfect for you! The innovative design of this stretcher means that instead of having to pull the scrotum through the opening it can be closed around the balls, which allows the opening to be smaller and the ball stretching ring to be thicker (heavier). The stretcher is opened and closed with bolts which can only be screwed or unscrewed with a standard-size Allen key (included). This design not only increases comfort, but due to the smaller opening the chances that the ball stretcher will slip off are greatly reduced. 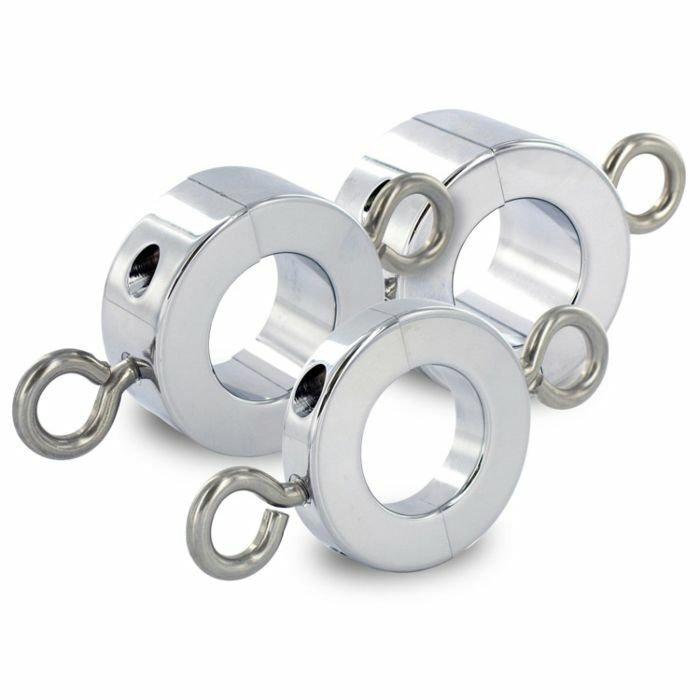 Unique to this ball stretcher is the optional addition of two eyebolts on each side of the stretcher. This means that you can explore and experiment with more intense stretching simply by adding weights.